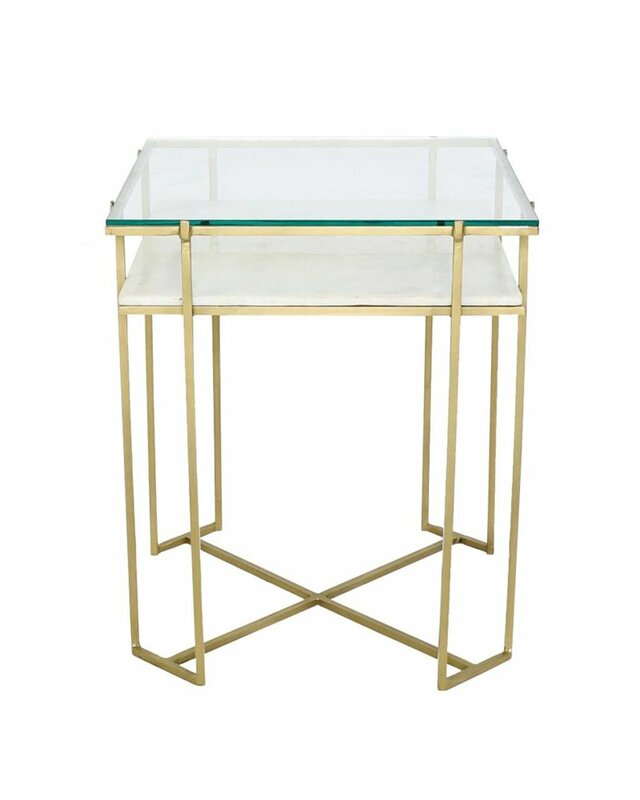 Functionality meets glamour in this two-tiered side table. 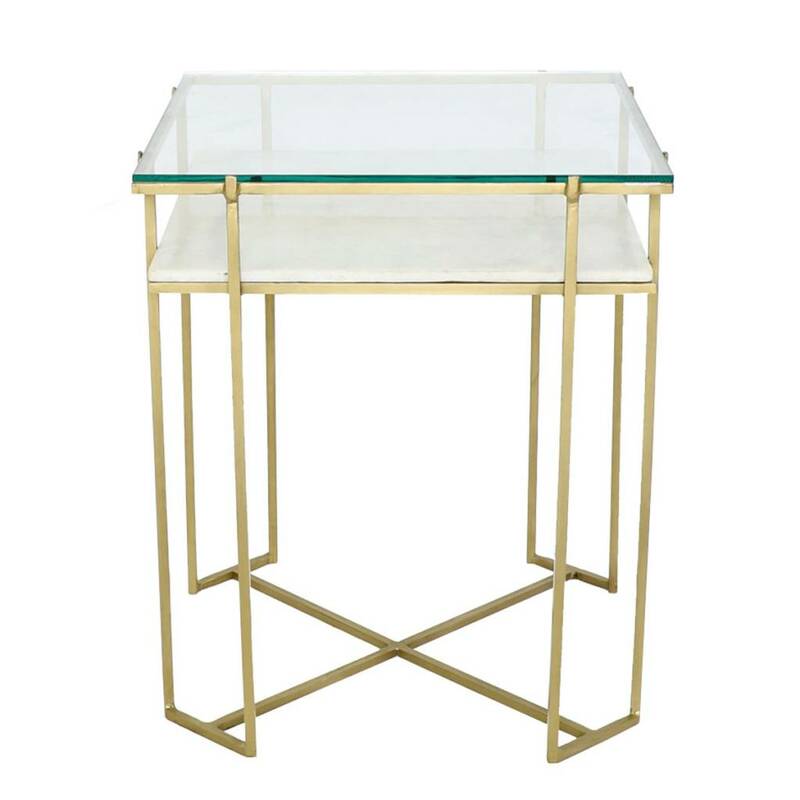 Gold-toned legs give way to an elegant marble and glass top, great for making the most of any small space. We even love the thought of this as a night stand!